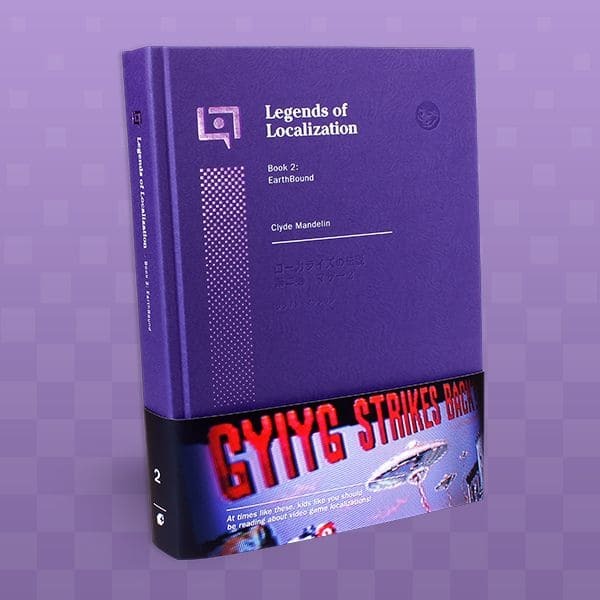 The EarthBound Legends of Localization book is out! It’s the culmination of 20+ years of EarthBound knowledge, 15 years of professional translation experience, inside info from key staff members, and some scratch-n-sniff craziness. Don’t let this scare you though – even if you don’t know a thing about EarthBound or aren’t an EarthBound fan, there’s a lot you’ll enjoy in this book. You can also see 20+ sample pages here! There are currently two places you can get the book, although some brick-and-mortar stores might offer them in limited quantities as well. I 100% recommend getting it from Fangamer – you’re guaranteed to get a signed bookplate (1st edition exclusive) and possibly some extras thrown in. And if you order it from Fangamer, we’ll even sign the book directly for you if you ask for it in the order form – it’ll just take a little extra time to ship out. Also, between now and November 29, 2016, Fangamer shipping is free within the U.S., and international IPA shipping is 50% off. I don’t think they’ll ever offer a better deal than that! Q: How is this any different from what’s already online? A: I rewrote and re-researched everything from scratch. In doing so, I made many new discoveries that haven’t been documented anywhere. I tried to distill all of my findings to make sure that every single page is fun, interesting, and surprising. Almost every page has new info that I myself didn’t know until this year! Q: I haven’t played EarthBound /I’m not an EarthBound fan. Will I still enjoy it, and will I get lost reading it? A: You will absolutely be able to follow along – from Day 1 I wrote the book with non-experts in mind. The first several chapters (full list here) cover things like game translation theory, game localization history, the history behind Nintendo and EarthBound , merchandise releases, and all kinds of neat under-the-hood stuff. It’s all very accessible and easy-to-read. If a non-EB initiate like myself is having this much fun reading a book about a game I’ve never played, there’ve gotta be tons more like me out there. Q: Is an electronic/e-book version planned? A: At the moment, Fangamer doesn’t have plans for electronic versions. It’s possible that could change, but I wouldn’t expect it anytime within the next few years. Similar to the first Zelda Legends of Localization book, this EarthBound one has an optional companion booklet that will help you dive into the Japanese version of the game yourself! Even if you don’t know a lick of Japanese right now, by the end of the booklet you’ll be able to read, pronounce, and even translate simple phrases from MOTHER 2 . I wrote it with my younger self in mind – I remember wishing I could play the Japanese version of EarthBound back in 1995 but not having the resources to do so. The booklet also contains special tips, tricks, and info on how to enjoy the game in new ways, as well as explore the Japanese side of the Internet to see what fans are up to. You can get the 48-page Passport here for $9, but if you get it and the main book together you’ll get a $3 discount. Comparing EarthBound with its Japanese counterpart is how I got into game translation and localization, and it’s also the origin of this entire Legends of Localization site. It’s hard to believe that this dinky site would become my career and livelihood years later. With that in mind, I made sure to fill the book with everything I wanted, so that I’d have no regrets and feelings of “I wish I had included this”. That’s a big reason why the book comes with the scratch-n-sniff card, in fact. In a sense, this EarthBound book marks the end of a long, 17-year journey, but the start of many new ones. So before we move on, let’s take a look at some behind-the-scenes photos from the book’s initial stages until today! Early into the book writing, Poe and I got kittens - they're awesome and they love video games... but whoa they slowed the project down quite a bit sometimes! Yeah, we might've gone a little overboard sometimes, but luckily Fangamer is filled with EarthBound fans, so we were able to borrow a lot of merchandise for free! Smell was a huge part of the initial EarthBound experience, so I felt very strongly about bringing that long-lost memory back to life by re-creating the original smells. Figuring out how to do scratch-n-sniff cards took a lot of work! Many of our long meetings included delicious pizza - very fitting for an EarthBound project! Food plays a huge part in EarthBound, so we went out and bought all kinds of tasty food, weird food, gross food, and bizarre food to photograph! Sending the final book files to the printing company! It's not over yet, though! The book proofs arrived the next week, and we had to make sure everything was in order before printing began. We did find a few sneaky typos and goofs, so we fixed them - fixing things at this point costs hundreds of dollars though! Time to photograph this beast! Looking back at all this now, a lot of life went into this book. Again, thanks to everyone who’s supported Legends of Localization by getting the books, offering direct encouragement, or even just spreading word about the site to others. This book is about EarthBound , of course, but it’s turned out to be way more than just that. I hope that feeling comes through as you read it! I already ordered a copy a few days ago when i got the alert email from Fangamer, but i forgot to request a signing when i ordered it. Is it too late to put in a request for my copy to be signed? Nope, I think if you e-mail orders@fangamer.com they’ll be able to flag it/set it aside so that I can get to it. Alright, i emailed them, so hopefully they’ll get the message and pass it on to you. I got roughly the same message, so I assume this is a good sign. That or we’ll both get books signed by Adil instead, which would at least be funny. So it’s a win either way! Adil’s a cool dude (and he’s Batman), so he’ll get the books to me for sure. I just got an email saying my copy has shipped. Estimated delivery date is next Monday. I can’t wait! Scrolling down this made me teary-eyed :’) I’ve been following your blogs for a long time and I’m so glad I can finally own them in print form!! Super excited for this book! Congrats on the release, you all worked really hard on this and it shows! Already ordered my copy! We appreciate the work that went into these. Cool, thanks for the support as always! Did anybody else read that pizza box label as “Magypsies Pizza”? Anyways, looking forward to getting this book! All the effort that went into this is pretty astounding! 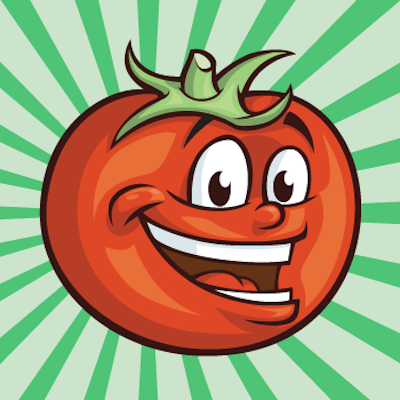 Grats, Tomato! Do Kickstarter backers get the passport too, or do I need to order that? I do hope you got that pizza from a trash can. It’s not a proper Earthbound celebration otherwise. I ordered my copy right away when I got the email that they were on sale since the Zelda book sold out so fast last year! I was reading that book during my Christmas vacation last year, so it’s cool to think I’ll have the sequel(?) for this year’s vacation too. Thanks for the awesome books Tomato, and for giving me something to distract myself from my airplane anxiety. Haha, thanks for the thanks! And yeah, our Zelda book was a test run in many ways, so we made sure we printed plenty more and that we included the bookplate and such for everyone. I just ordered the book and I cannot wait. Glad I noticed it at a time when shipping to Japan is half off. I’m deep in the kanji learning mines right now and have been putting off playing Earthbound in Japanese due to the overwhelming amount of only hiragana (to think I’d reach a place where kanji actually made life easier), but I absolutely can’t wait to take the plunge with your passport in hand. If ever all this Japanese I’m learning culminates into me translating stuff, you’re definitely going to be high on my list of thank yous. Earthbound must be really close to your heart it seems… In that case, would you like to delve into Undertale as well? Especially since that game appears to have a working Japanese translation now. There is a working Japanese translation, I watched some video at Nico video. Indeed. And I wonder if Clyde can do some comparisons in the event that something was changed between translations. Yes, the enemy names and such still appear in Latin letters for some reason but it should otherwise be fine. But guess I’ll need to catch up on the Zelda book now, so I can read through this one as well. I backed this on kickstarter and it came today. Quite frankly it’s amazing. Quite exhaustive to say the least. Holy crap you really put your heart and soul into this! I’m so happy I got it with the kickstarter. You have my absolute support, Mato. You’re awesome. Mato, Poe, everyone involved, this is absolutely amazing. I’m going to set aside some money for this and hope I’m not too late once I can buy this excellent-looking book. I’m frankly kinda stunned. This looks like an incredible book, and what a journey it’s been for you to make, eh? I’m so happy for you! 🙂 There’s no need to say it, but my God am I looking forward to owning this book. Yay, another Fangamer-only “F..k international buyers” book. =( Their shipping rates are insane, either 23 USD (plus local taxes) for the “may not arrive at all, do not expect a refund” shipping method or 45 USD (including 7% local taxes) for UPS. For a 36 USD item. Nope. This is a legitimate concern that many others have shared, so I 100% understand. $23 is a lot. $45 is even crazier. While I don’t work in Fangamer’s shipping department, in their defense I have seen them constantly trying to find ways to reduce the shipping costs as much as possible on a very regular basis. I’m not aware of the details myself, but apparently the USPS has dropped many of its services in the past year or two while also increasing the costs of the other services by 50% or more. UPS, FedEx, and others have done the same. I’m assuming the $23 one you’ve mentioned is IPA, which is the very cheapest service offered to businesses but has certain requirements and also doesn’t include tracking. I know the frustration of international shipping costs, but from what I can tell all the services just keep getting more expensive and offer fewer and fewer options. I cringe when I have to order from Amazon Japan for the same reason – the shipping cost is insane and often more than the items themselves, so I try to buy everything I need in batches. In any case, I wonder if the book had instead been something like $50 + free shipping if that would seem fairer – there’s no way a small business can compete with sites like Amazon when it comes to fulfillment and shipping, although the expectations are the same. Still, if you (or anyone reading this) have any suggestions on alternative & cheaper shipping methods, I can pass them on to the Fangamer guys. Don’t think it would work for ordinary order fulfillment, but for big “campaigns” like the EB Handbook thing, you could try Ship Naked. Some other people I know who’ve done big Kickstarter projects and the like have had good things to say about them. Haha, some moron is currently trying to sell a used copy of this book on Amazon for 2000 dollars.